It started when I was 16 years old. A father forgetting to drive me to school. A mother setting the table for three, not four. A friend who looks at me and sees a stranger. The Sudden Appearance of Hope is an unforgettable tale of one woman's quest for identity. I am fully in the Claire North fanclub at this point. Everything she writes is engaging, thought provoking, and beautifully executed. She examines the nature of humanity from unique perspectives. This novel was no different. 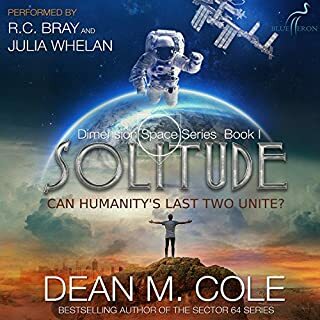 The essence of existence, memory, and our place in the world is placed into stark contrast with morally grey characters and a face paced story. A great listen, well worth your time and a credit. This was the story that would never end, and, although it took forever to finish, there were so many things left unanswered. there were too many Mysteries within mysteries in the story and not enough explanations to leave a reader satisfied. the narrator did a great job with what she was given. Her accents were terrific and her expressions brought a lot to the book. It wasn't enough to save the story though. I love Claire North and Gillian Burke is an exceptional talent. My one complaint is the slowness of the plot. Some editing out of redundant material would make the book much more enjoyable. Would you consider the audio edition of The Sudden Appearance of Hope to be better than the print version? I haven't read it in print, but the narrator was excellent and many internal dialogs seem like the kind of material that works better spoken then read. Hope sitting outside of her parents' house and looking in, running through how she could interact with her mother, yet knowing they would not remember her, was incredibly sad. On the flip side, it was bittersweet to realize that her younger sister (who had a mental disability) could remember her and when they reconnect later in the book, you feel a sliver of hope for human connection. I found this book engrossing almost immediately. 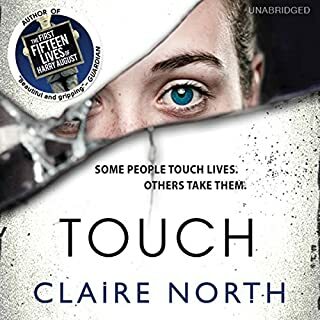 Claire North has a knack for giving her characters depth and feeling and normalcy, while simultaneously providing them one isolating and inalienable oddity that makes them other and apart from the rest of humanity. The peculiarity of the protagonist of the book, the eponymous Hope, is that she is not memorable. On first glance, this seems a minor thing - but this does not mean she is ordinary or has a common face or just isn't all that interesting. It means, as she approached her 16th birthday, people who had known her all her life, slowly began to forget her. Forget she was in the room, forget she was in the house, forget she went to your school, and eventually, entirely forgot who she was. She would flit away from one's short term memory and never imprint on one's long term memory. Her mother and father forgot who she was. And what seems a simple conceit - a main character who people can't remember - becomes a central pivot to explore loneliness and relationships and society and what it means to be human. If no one remembers you, you can't hold down a normal job or get regular care at a hospital, you can't date or make friends, you are forever an unknown quantity and unmoored to your surroundings. In response to this inability to attach to anyone, Hope becomes an accomplished thief (usually of jewels) and makes her way in the world, filling the spaces where human interaction would be with knowledge and trying to stay connected to sanity through discipline and professionalism. North takes this epic plot twist, this woman who technology remembers (CCTV, online chats, etc.) but everyone else forgets, and adds in another character, albeit one that is purely technology. The book pairs Hope's daily life with a larger plot involving an app called Perfection. Perfection offers its namesake to users - points add up for good choices, subtracted for bad, coupons and invitations to services and events that make you more perfect. Through this app, the author is able to explore many issues coming to a head in society (the intrusiveness of technology, the striving for impossible looks, the push to assimilate, the shallowness of thought, the annihilation of individuality, the trading of privacy for convenience). The central story and action that unwinds throughout the book is triggered by Hope stealing the sourcecode for the app, followed by the exploration of whether the app's algorithm for perfection is vile and destructive, what lengths another character will go to in order to destroy it, and whether the app (and treatments it suggests) could make Hope memorable. In the end, the blend of ideas and characters, along with plenty of action and pathos, made the book difficult to put down. Highly recommended for people who like their heroines with a quirk, the technology with a grain of salt, and their morality in a gray area. This wonderful, wait wonderful does not even come close to describing the journey this experience took me on. I feel transformed, Gillian's voice is still speaking and the writing the whole package was moving. Characters depicted so spot on they moved into my psyche, in a good way. Thank you for this life altering book. The sudden appearance of anything written by this author's prodigious pen is cause for celebration and much to be desired. The very existence of a person like the amazingly talented Catherine Webb (aka, Claire North) is enough to make any aspiring writer green with envy. Here she is, just scarcely into her thirties and already she has authored eighteen novels!--an average that exceeds one each year, starting from when her first one was completed at the age of fourteen. (Good god!) To say she is prolific does not do her justice. At this rate, she is in league with the likes of John Updike, who was well known for his staggering book-a-year pace. Now keep in mind that Webb also works full time as an accomplished lighting designer, And let's not even bother discussing her "hobbies" (exotic martial arts anyone? studying Mandarin??). Well...perhaps Ms. Webb really hails from Krypton and was delivered to planet Earth via a tiny spaceship in the mid-eighties. That would explain a lot and make all of us feel a little better in the process. Anyway, I'm sure she really is from England as she claims. 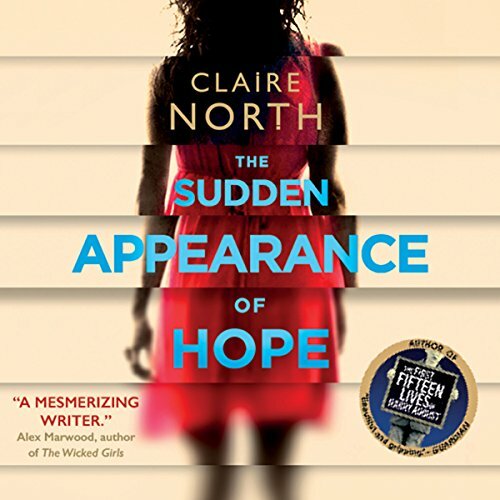 She certainly sounds British from the free Audible interview she gave on "The Sudden Appearance of Hope," posted back in April (and still available *hint*). In the interview, she discusses a bit of her writing method, which involves letting the novel reveal itself to her as she writes rather than knowing exactly what she will say ahead of time. She says she loves to write, and of this there can be no doubt. The beauty and artistry of her language is evident on every page. If you haven't discovered the rest of the Claire North series of novels, oh my God! I highly recommend them. 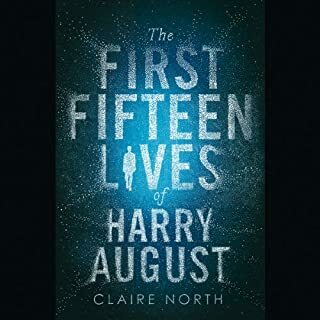 Her debut novel, "The First Fifteen Lives of Harry August" was nominated for several awards, including an Arthur C. Clark award. Her follow-up novel, "Touch," although not *quite* as fantastic, still is unbelievably fantastic and ranks among my favorites. Both are expertly narrated by the phenomenal Peter Kenny, who by the author's own admission (and to her delight) brought out aspects of these works via the strength of his interpretation that she had not been aware were present. Kenny does not narrate this latest work; instead we are treated to the great Gillian Burke, whose voice is more-or-less a delicious, dripping honeycomb of presence and persona. She, I'm afraid, is another superwoman, and one wayward glance at her website will make you wonder what you, a mere mortal, have been doing with your life (certainly not herding llamas in the high Andes like her or deep-sea diving off of one of the four continents on which she has lived). 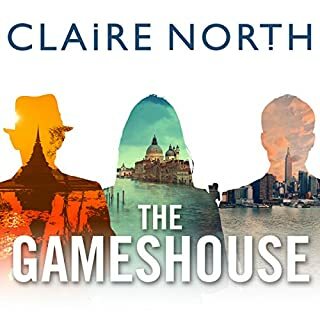 While difficult to describe how exactly, Burke has managed to capture the Peter Kenny vibe for this novel, such that if one is used to the feel of the proceeding Claire North books, nothing askew will be detected. Now, as for the book itself, the writing is as languid and vivid and as much Claire North as one could hope to find. As usual, a solitary protagonist speaks directly to you, hypno-pathically lulling you into her world; and as usual, the protagonist is "different" from most people, different in fact from anyone you could ever imagine meeting in your own non-Claire North world. In "Harry August," our protagonist experiences life as an infinite temporal loop; in "Touch," he (or perhaps it's she) experiences it through an infinite set of inhabited lives; and now in "Hope," this new character exists in infinitely renewable moments. No record of her prior moments can ever be recorded because each one vanishes immediately from the memory of all who encounter her. 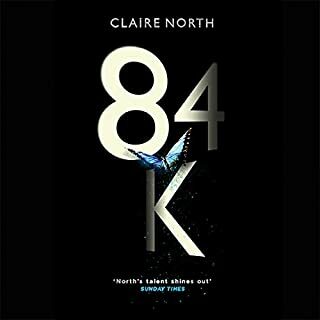 It's a fascinating concept and continues what I am calling the Claire North tradition of blowing my tiny, little mind with her SciFi witchcraft. As with her other books, a sinister antagonist of epic proportions opposes the proceedings here; and interestingly enough, as in the proceeding novels, a captivity motif persists. It is as if these otherwise unstoppable characters, no matter their amazing abilities, still face the same human potential for wickedness that haunts us all. But maybe I'm reading too much into it. Still, it doesn't take a PhD in Literature to detect an overriding theme involving the dehumanizing horror of celebrity culture, here, and that is fortunate since I lack such a credential. I can say that at minimum what one will find in "The Sudden Appearance of Hope" is a superbly-written thriller designed to keep the reader guessing all the way to the last sentence. It's the sort of book you'll want to keep around in your library until, like the conceit of its central character, the very memory of it has faded just enough to make you forget it was ever there, so that one day you can have the pleasure of discovering it all over again. I struggled to finish this book. The well thought out and intriguing story kept me determined to cross the finish line. However it is in serious need of some good editing. Points are made, remade, pounded into the ground, beaten into us, and then revisited again. When this was occurring it was eye rolling at best, annoying to the point of walking away from the book for days at worst. 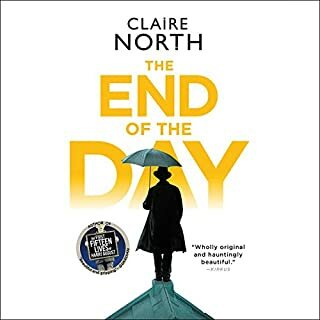 Claire North is an excellent writer, but that should not exempt her works from intelligent editing. Do try her other books, but I would give this one a pass. One other note, the books description does not give a proper idea of what this is all about. Very catchy, yes, but somewhat misleading. Dul, boring, slow. The concept was so interesting that I couldn’t wait to listen to it, but I just couldn’t connect with it al all. Very slow moving and although there are good thought provoking ideas, it just doesn’t work. I love the author. I devour all the books from her that I read. Love her writing and the way she tells story. I just feel it follows the same story structure from The First Fifteen Lives of Harry August. It's almost the same journey, the same pitfalls and the same thrills. I couldn't predict exactly what would happen next, but I could definitely predict what I would feel next every time something was about to happen, as I read so much of her books before. I still would really recommend the reading.